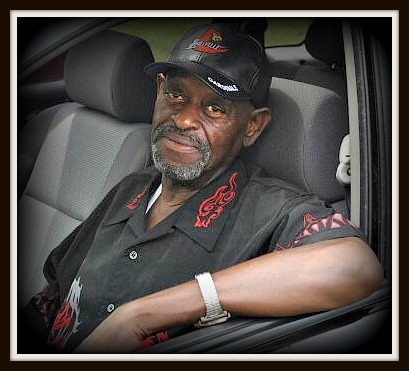 John Allen “Sugar” Rice, age 74, of Cave City, KY, passed away Friday, March 22, 2019, at T.J. Samson Community Hospital in Glasgow, KY. John was a member of Mt. Gilboa Baptist Church and is survived by his wife Stella Thompson Rice. John “Sugar” enjoyed cars, dogs, and cooking. His specialty was greens and macaroni. He was a provider and protector who was loved by all. In addition to his wife, John is survived by four children, Donna Brown (Chris) and Mark Rice of Cincinnati, OH, Rose Beason of Radcliff, KY, and Leslie Edwards of Horse Cave, KY; two step-daughters, Brenda Lee Barbour and Bernice Ann Allen (Gary) of Atlanta, GA; and two step-sons, Billy Joe Barbour (Sharon) of Sicklerville, NJ, and Stevie Darnell Barbour of Denver, CO. He is also survived by one sister, Mary “Lou” Lewis (James Percell) of Horse Cave, KY; two brothers, Warren Thomas Rice (Diane) and Jimmy Lee Rice (Patricia) of Cincinnati, OH; two grandchildren; and three great grandchildren. A host of loving nieces, nephews, cousins, and friends also survive. He was preceded in death by his parents, Henry and Frances Dice Rice; his son, Billy Joe Rice; two sisters, Frankie Bumgardner and Lee Anna Rice; and three brothers, Joe Louis Rice, David Lawrence Rice, and William Carl Rice. The family will receive friends from 10:00 a.m. to 1:00 p.m.CT,Saturday,March30,2019, at Mt. Gilboa Baptist Church, Canmer, KY. The funeral service will be Saturday at the church at 1:00 p.m., with Rev. Horace Graham and Dr. Michael Rice officiating. Interment will follow at Mt. Gilboa Cemetery. Arrangements are under the direction of Brooks Funeral Home, Munfordville, KY.